After July 2014, domain administrators will no longer be able add or remove email accounts in your domain. Domain administrators are encouraged to move to Office 365 to get enhanced features and capabilities for modern enterprise-class mail, collaboration and communications. 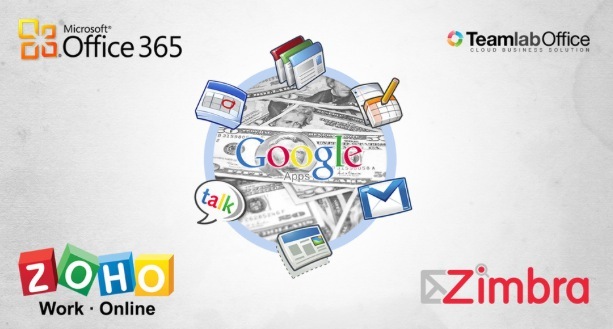 Back at the end of 2012 Google’s big announcement was that they no longer offered a free version of Google Apps. Google Apps is basically a free Gmail account but at your own domain instead of at gmail.com. If you pay for the pro version (“Google Apps for Business”) you get more storage, support and a few other features. Nonprofits can get it free by request. Google Apps is a great product but who can we turn to now for domains that have simple email needs and no budget? I host most of the sites I build but I no longer host email on my server in order to keep it safe and speedy for my WordPress managed hosting clients. 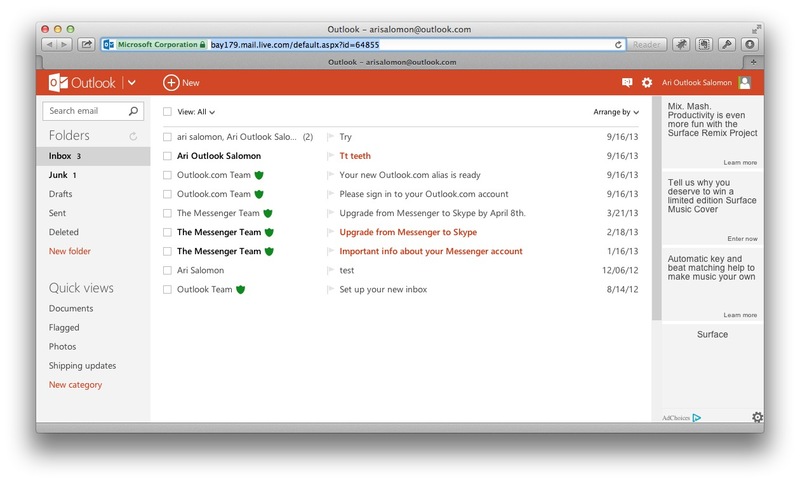 Outlook.com is the successor to Hotmail. 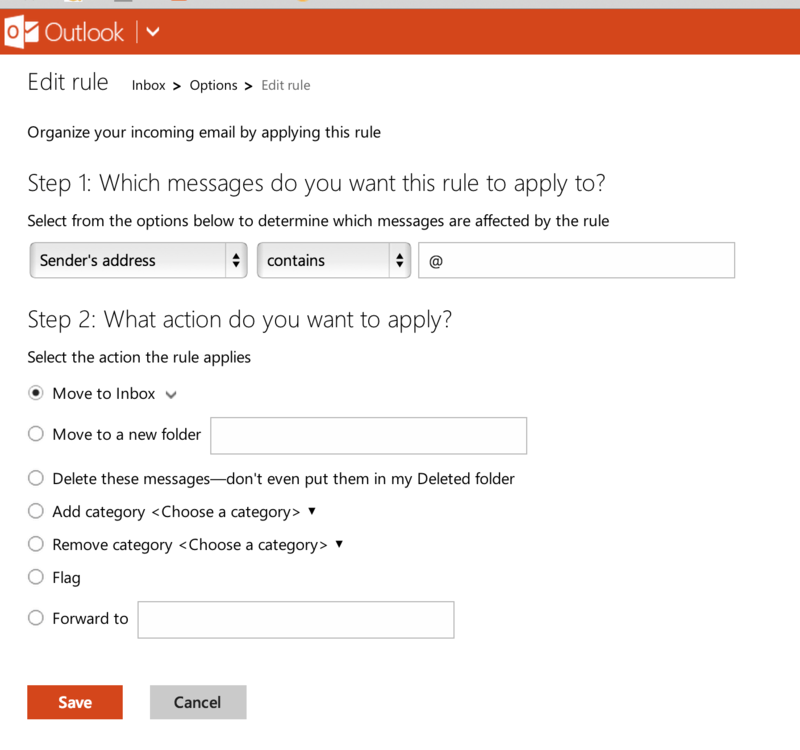 If you have a Hotmail address, you can upgrade to outlook.com. 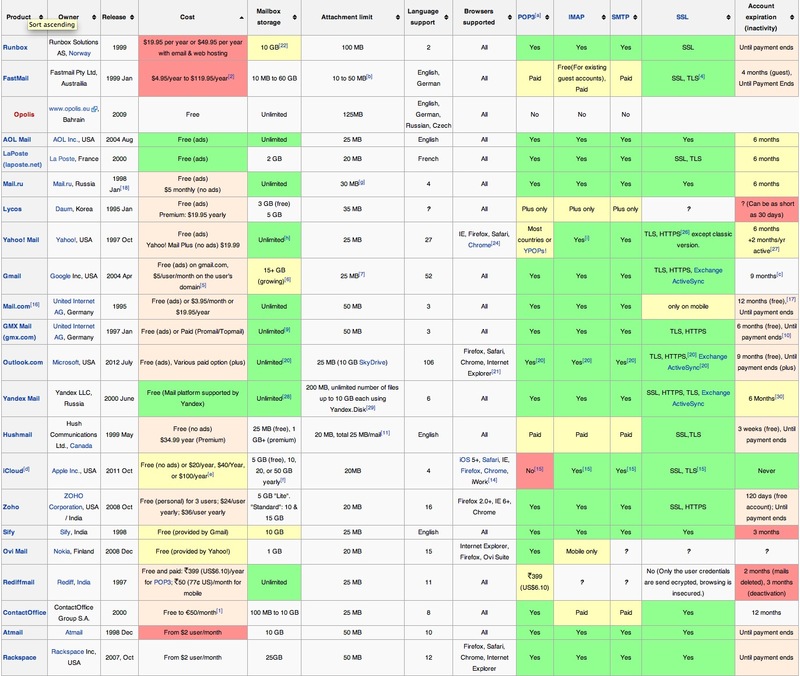 Note that Office 365 is more of a direct, enterprise-ready competition for Google Apps. 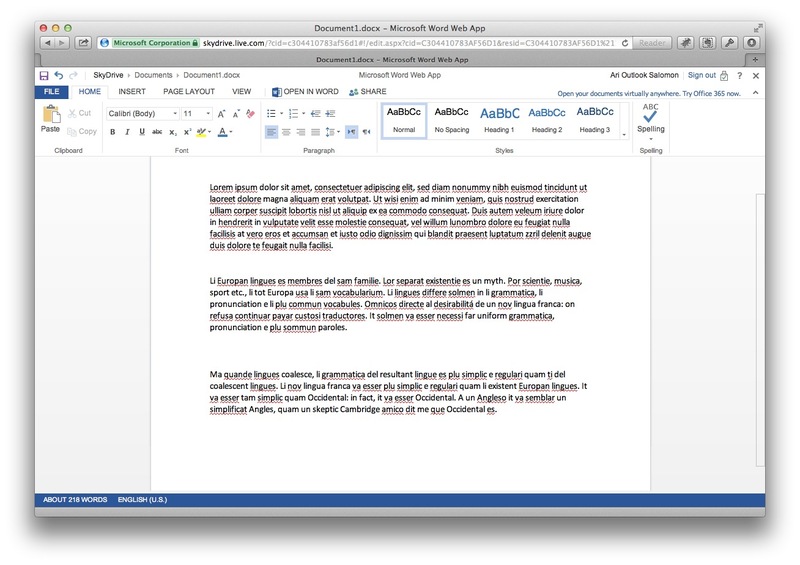 It gives you an Exchange account, and web versions of all 8+ office programs (not just the 5 free “SkyDrive” ones). But Office 365 is not free – there are 3 service levels. Outlook.com didn’t offer IMAP till very recently. Outlook claims “virtually” unlimited storage. Outlook shows ads (more that mail) BUT it doesn’t target them based on your email content – in other words, it’s robots don’t read your email. Outlook.com has web-based versions of Word, Excel, and Powerpoint so you can work with those kinds of attachments directly. It is like Gmail and Google docs + Google Drive. See image below. Look in the Sky – It’s a drive! Start with this LifeHacker article. Note that you can have multiple administrator accounts for your custom domain. Each administrator must register the domain on the Windows Live Admin Center website and enter a unique MX record that authenticates that user (an MX record specifies which server in your domain should receive incoming email) that’s associated with that administrator at your registrar or Domain Name System (DNS) provider’s website. The Domain administration interface at live.com / outlook.com is much much simpler and has hardly any features compared to Google Apps. But that can be a feature in itself. Basically just add new user accounts and go on your way. Where to make more accounts for your domain? You can make up to 50 email accounts for free. Note that you have to log in as the new user in a browser in order to confirm the account before using it. Live will ask you for a captcha to confirm you are a human and there are two other simple screens to proceed through before you can start using the new account. Important note: Please sign in at least once every 365 days—otherwise your account looks inactive and could be deleted. I’m not sure how that compares to Gmail these days but there are a few levels of security you have to go through in activating a new Outlook.com email account. Are there other free email options? The short answer is Zoho. They offer a similar suite of tools and a free option – with email at your domain. But I have not used it. Lifehacker has a great article about alternatives. …or just pay for Google Apps! UPDATE: After struggling with some senders being blocked I am “downgrading” Outlook.com and am motivated to try out Zoho’s service. UPDATE 2014: Well, I have not tried Zoho yet but I have a couple commentors that seem to be happy with it. This entry was posted in Web Design. Bookmark the permalink. Post a comment or leave a trackback: Trackback URL. After reading this post I will try to setup outlook. Glad to see you mention ZOHO among other free email options! I recently took the plunge: got my own domain, so I could have as many personal email addresses at my own domain as I wanted. Above all, switching to Zoho allowed me to stop using Gmail. As most probably know by now, the newest Mac OS — Mavericks — essentially broke the native Mac Mail app with regard to Gmail. Most people seem to blame Gmail itself for this, citing Google’s wonky implementation of the IMAP protocol. But regardless of who’s to blame, Mac Mail just doesn’t play well with Gmail. But Mac Mail in Mavericks plays beautifully with Zoho. They sync flawlessly. So in addition to having a bunch of my own domained email addresses served through Zoho, I also have Gmail forward all my Gmail mail to my Zoho address as well. This allows me to access all my email — both my own domained email and my Gmail — through my laptop’s Mac Mail app without ever having to deal directly with Gmail’s wonky IMAP servers. This is a useful review of the options. Has anything changed since you wrote it wrt Outlook’s spam agressiveness and how are you getting on with Zoho? I have not tried zoho yet. have you? Above all, switching to Zoho allowed me to stop going through Gmail. As most probably know by now, the first release of Mavericks essentially broke the native Mac Mail app with regard to Gmail. Most people seem to blame Gmail itself for this, citing Google’s wonky implementation of the IMAP protocol. But regardless of who’s to blame, Mac Mail just wasn’t playing well with Gmail. My apple mail app works pretty good with Gmail – but it has some quirks. Pawnmail is another free email host for custom domains. Andrew, looks like a great service you’ve built – but also feels a bit funny since your site is so small. Got any reviews or info about your technology? Do you have any way for a client to pay you on a contract so they can feel secure your service will not just disappear when you feel less charitable? The web frontend is small and minimal, but this was designed on purpose as a response to the many bloated email hosting alternatives. I feel there is a demand for email solutions that “just work” for individuals and startups, rather than large enterprise systems right now. Regarding contracts, I don’t think that is a possibility at this time, but paying users may find email hosting backed by larger companies (e.g. Google, Microsoft) to better suite their needs. Donating will of course promote the longevity of Pawnmail, however. Is outlook account also compatible with http://www.apponfly.com/en/ ?? Ari Salomon is a web designer, WordPress expert and fine art photographer working in San Francisco.